My keycaps arrived today. Due to my inability to read a product description, I ended up with orange alphas with black legends, not white alphas with orange legends. That's OK, though, because I had enough white blanks to basically just reverse the color scheme. Except for the 2u spacebar. I've ordered that and am waiting on it. My cable also showed up. 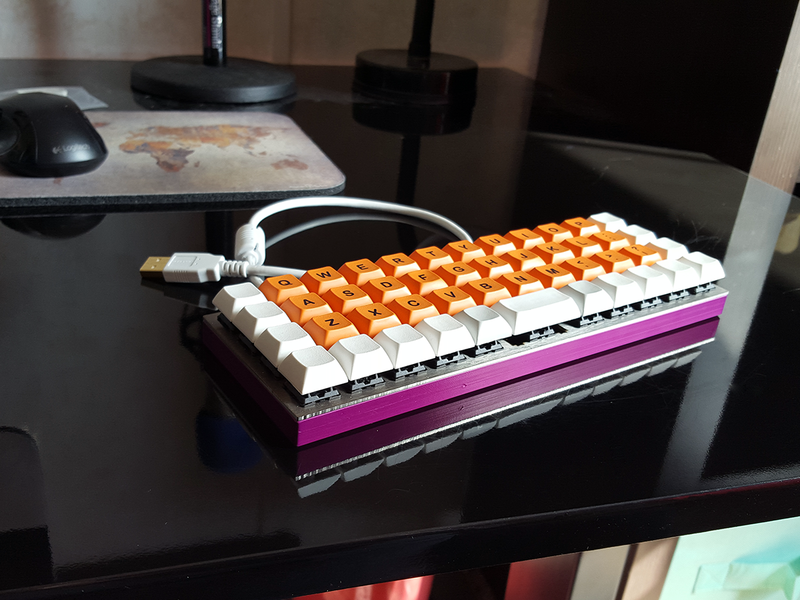 I debated whether or not I wanted to sleeve it like I did my Pok3r cable, but I think I'll leave it white. It goes well with the caps and brings in a little more white overall, so the orange isn't so over-powering. I plugged it in.... and my Mac popped up a "new input device detected" dialog. So far, so good! I went through a brief setup during wich mac said "I don't know what this thing is" and ultimately I just selected a US ANSI keyboard layout. Then it was time to test every key. 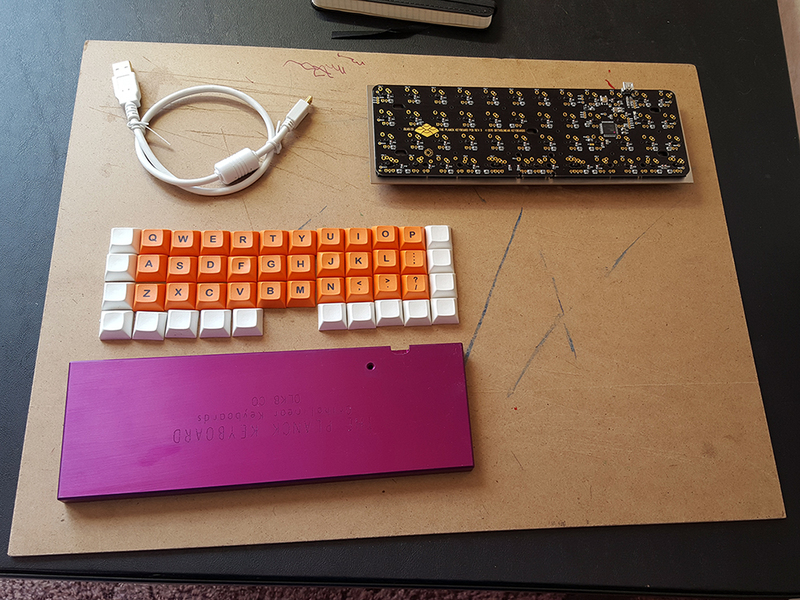 My little 40% keyboard is together and working! 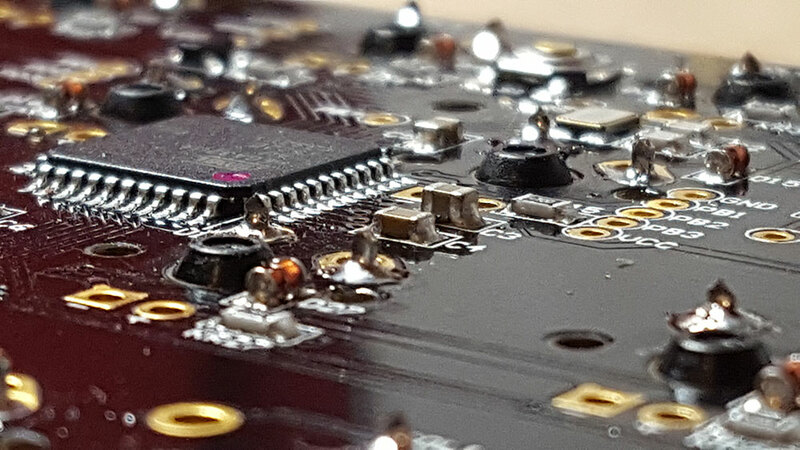 This is the project that inspred me to learn to solder in the first place and in doing so it's opened up all kinds of possibilities for fun hobby projects. It's great to see this thing together and functioning as it should. 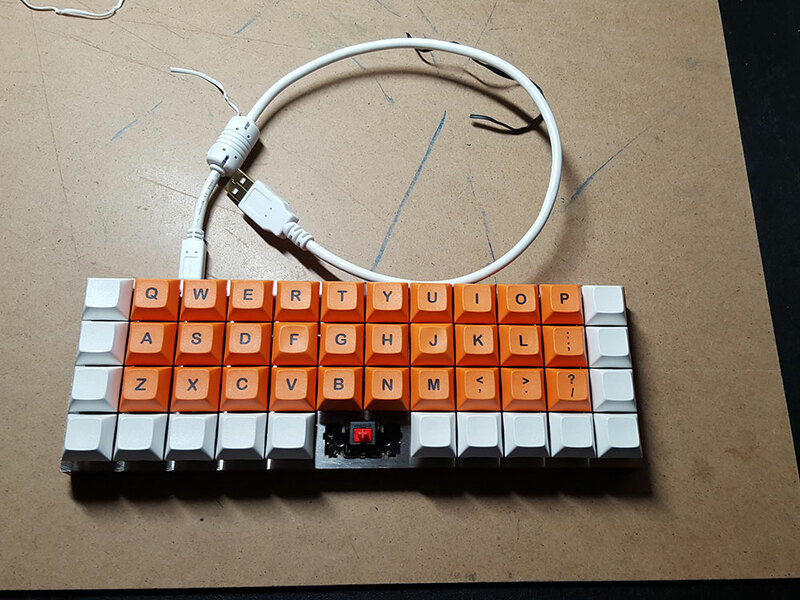 Also, it's a really neat little keyboard and a fun layout. It's surprisingly easy to type on. Here it is, minus the space bar. 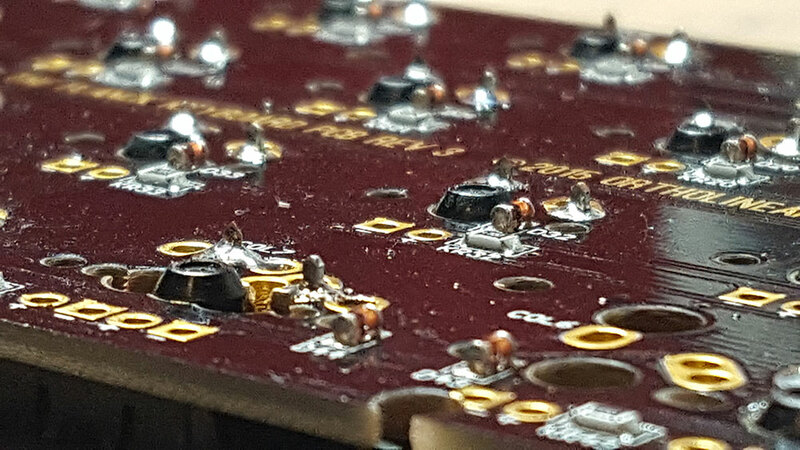 Since I'm obsessed with this project, I'll post a final update with some pretty photos once the last keycap arrives. Update: Here it is, the final product. 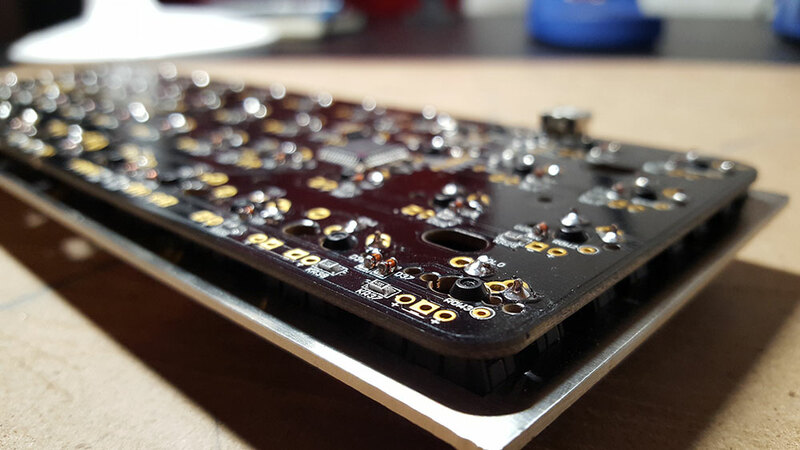 I also decided to replace t he modifier keys for switching layers to some light grey deep dish keys I had on hand.